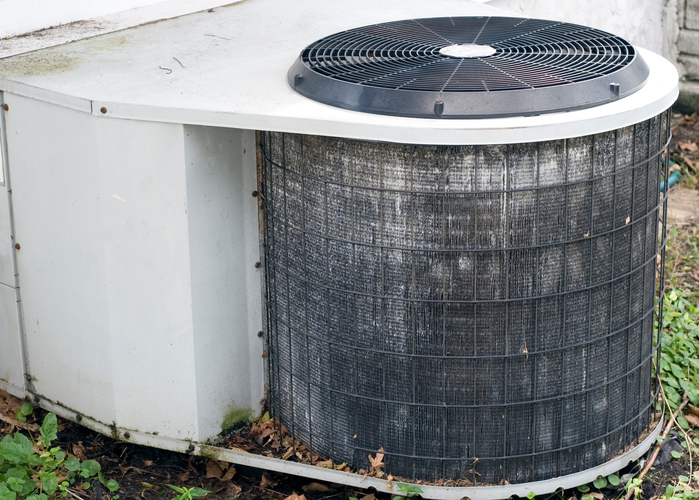 Should You Repair or Replace Your Older A/C Unit? How to Know For Sure! Every year that your air conditioning unit keeps running smoothly is one more year to be grateful. But at some point, it can become more expensive to keep and repair an older A/C unit than to simply upgrade to a new one. The right time for an upgrade can vary based on the age of your particular unit, the manufacturer, the maintenance history, your climate, and the size of your space. In this article, we will take a look at some of the most common costly repairs required to keep an older HVAC unit running so that when the time comes, you have the information you need to make the right decision for your budget and household needs. P.S. Be sure to read all the way to the end to learn about a chance to WIN a FREE brand-new A/C unit! If your air conditioner has been consistently well maintained and your energy bills are not skyrocketing during the warm season, you may be able to get away with keeping a unit all the way to its 15th birthday! But if your A/C unit has a spotty or unknown maintenance history, is kicking out increasingly unusual noises or is running a high tab on summer energy costs, 10 years is generally considered a good, useful life for an HVAC unit. You can upgrade from the discontinued R-22 refrigerant to the new environmentally friendly R-410 refrigerant, which does not deplete the ozone layer. This upgrade also contributes to greater energy efficiency of operation, because R-410 uses synthetic oil rather than mineral oil, which reduces overall A/C unit wear and tear. Newer A/C units come with programmable thermostat options, which the E.P.A. estimates may save you as much as $180 per year on your energy bills. The E.P.A. estimates that upgrading to an Energy Star-certified HVAC unit can save you up to $115 per year on your energy bills. Some HVAC repairs are just minor. You tighten a screw here, add some lubricant there, replace a part there, and things pretty much go back to normal. But some repairs present a bigger issue, and not just cost-wise. In particular, these three repairs can signal the end of your HVAC’s useful life, at least in the sense of being able to control your costs to get the same cooling performance of years past. There are some months in every year when you can expect to pay a bit more for energy. Summer is prime time for higher energy bills simply because the outside air is hotter, which forces your air conditioner to work harder to control the temperature of your inside air. But when your energy bills start to skyrocket past what provider pass-through costs or even climate change can account for, this is a sign that your A/C unit is struggling to do its basic job. When air flow feels stronger in one room and weaker in another, this can indicate clogs in your air ducts. It can also indicate clogs in your air filter or air registers. And it can indicate leaks in your air ducts where air is escaping en route. Sometimes, this issue can be fixed by scheduling a professional indoor air duct cleaning service. Cleaning your air ducts and registers regularly will prolong their useful life, clean out blockages, and also identify any leaks that need to be sealed, which will in turn all lower your energy bills. But if cleaning out your air ducts and registers and sealing up leaks does not fix the airflow imbalance, it may be time to retire your air conditioner. As climate change continues to present new surprises annually, our collective struggles to maintain sufficient air quality increase. We have less control over the quality of our outdoor air, but the opposite is the case when it comes to our indoor air quality. There are several warning signs that can indicate a decrease in indoor air quality. 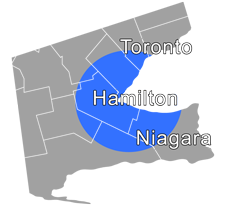 A primary indicator is a gradual increase in humidity. As well, strange or stale odours, health symptoms (congestion, headaches, fatigue, memory loss) and less overall indoor comfort can each indicate your HVAC unit is having a tough time keeping your indoor air clean, humidity balanced and cool. Often, you can extend the life of your air conditioner by re-sealing and weatherstripping your home, adding insulation in strategic places and changing your air filters more regularly. Scheduling an HVAC inspection and maintenance service appointment can also troubleshoot any smaller contributing issues. But at some point, these costs can add up beyond what is truly economically feasible to keep your existing A/C unit running. When this time arrives, it can be smartest to upgrade to a new HVAC unit. Till the end of August, Shipton’s is hunting for the oldest, still-working A/C unit in our service areas. We are evaluating each unit we replace to see which is the oldest of them all. When we find the oldest air conditioner, we will gift its owner with a FREE unit! If this sounds like a great deal for you, just complete this simple form or give us a call at 905-549-4616 to learn more and participate!